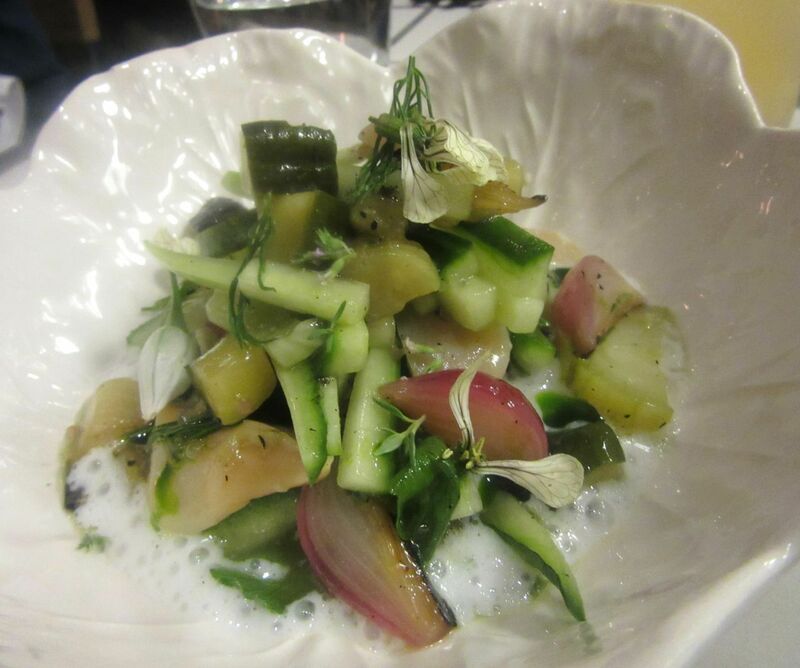 Use the dense Portuguese bread to mop up the charred cucumber and razor clam salad. 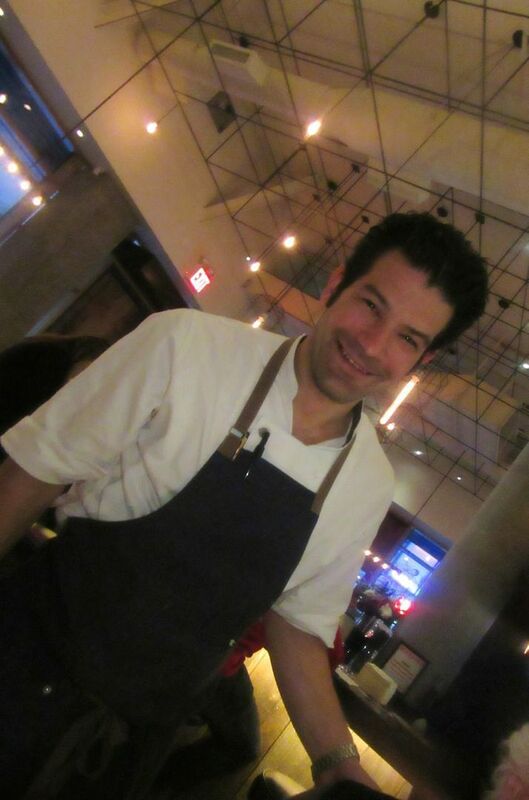 Intense is not an exaggeration for George Mendes these first few nights of Lupulo, his new tavern and small plates joint in Chelsea. He’s everywhere, coaching a new recruit at the tasting station behind the bar on how to clean out the head of a lobster in the middle of dinner. Leaning out the open window from the kitchen to show us the oozing cloud of a classic Portuguese dessert just pulled from the oven. 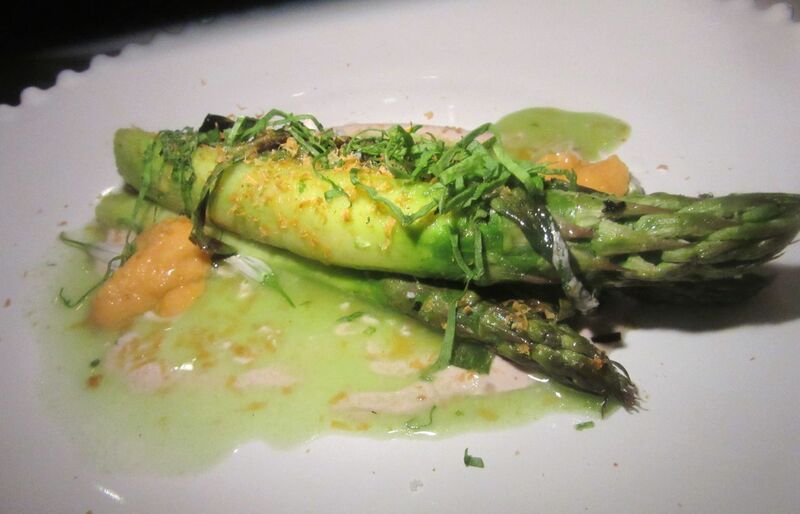 Racing to our table to deliver “espargos assados,” grilled green asparagus with sea urchin, dried and fresh. 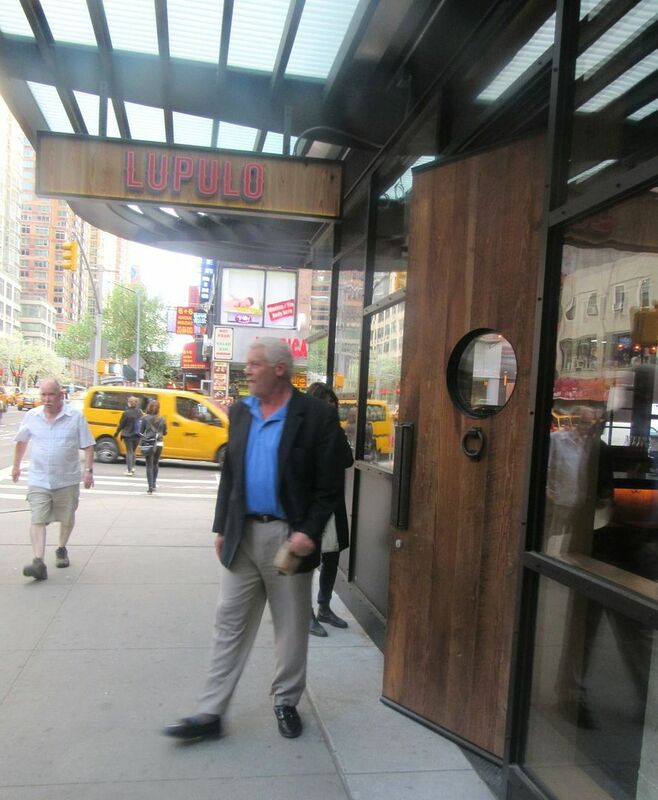 Lupulo waits to be discovered behind a rustic door on the 19th Street corner of the Eventi Hotel. Grilled espargos with sea urchin, sorrel and walnut. No way to resist. Yes, the asparagus. We’ve had it already, we tell the chef. We used the crust of dense Portuguese cornbread we just can’t stop eating to wipe up the sauce. (That would be the “broa” Mendes gets from a bakery in Newark.) The lemony taste of sorrel and sea perfume plays with the green spring grassiness of the asparagus. He scarcely stops. “Well, have another on me,” he says, racing back to the grill. Our encore quickly disappears.